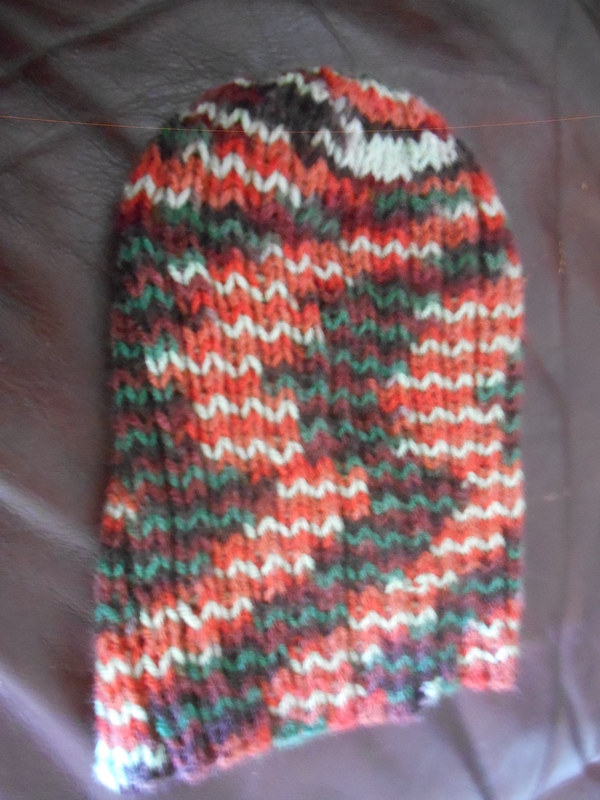 This hat was knitted from some sport sock yarn. I’m so happy with how the color repeats turned out. Who would’ve thought I would end up with a zig zag? It’s great!